Is It Safe to Take Fish Oil? Several studies have already proven that fish oil and other accredited omega-3 supplements are safe, for any age that is. Unless your doctor tells you otherwise. Fish oil can be safe, but there can be some things which you may refrain from taking in some situation, like if you are pregnant, cod liver oil isn’t that advised. Most fish oil is well guarded and well processed which makes it beneficial as well as healthy and most fish oil has to pass through several accrediting system and government department before it gets approved for public distribution. Some fish oil products are just plain fish oil while some may boast of distillation and are purified. The type of fish used may also vary. The risk of mercury in the fish oil industry can be covered by choosing the purified or the distilled form of the supplement. Also some of the prior brouhaha over omega-3 and prostate cancer has already been disproven due to its associative method of research and not the cause-effect which is more reliable. It is safe to take fish oil, but is it beneficial to take some? Yes. 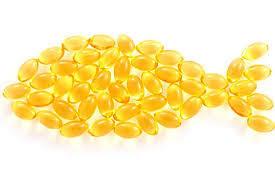 Fish oil supplements have long been found out to have so many benefits in the body and in different body systems. Its one major benefit includes lowering the risk of heart attacks. It strengthens cardiovascular health and may keep you away from fatal heart attacks. Another benefit of fish oil includes its capacity to give the body anti-inflammatory nutrients which may combat inflammation as well as pain. It can address arthritic pain and help body reduce pain signals in some chronic pain conditions. Other benefits of fish oil includes its capacity to help eye health, it aids against diabetes, help you live longer, reduce menopausal symptoms, lower bad cholesterol and increase the good ones, good for the brain and cognitive functioning and more. For you to keep safe there are things you may have to do to be sure. Here are some tips for you. Always ask for your GP’s opinion first. Your doctor knows what’s good for you and your health. He can give you options for omega-3 supplements and he knows a good and trusted brand. Consult you prior medication. Your prior medication should be considered before the fish oil supplement. Some medication may not go with the supplement since it has a blood thinning capacity. So again, list down all medications you are taking. Ask your doctor especially if you’re pregnant. Evaluate your past medical conditions or surgeries undergone. Choose a brand according to what it can give, not because of the price. It’s good to know you can save money in things, but you don’t sacrifice your health. Again, make sure that the brand is a trusted brand. There were some issues with the mercury and other toxic substance amassing in the body of the fish. So improper distillation and processing of the supplement can leave toxic matter in the fish oil and may combine with the supplement. Check for approval by your corresponding government agencies. So you will have the best of the supplement if you have the safest possible source of it. And to help your health, better aid it with some natural diets, like consume more fish, consume more omega-3 plant sources like flaxseed and Chia seeds. This article shouldn’t be a substitute for the right medical prescription, it’s just a guide. Be healthy!